Organizing a Super Bowl Party! The Super Bowl (Super Bowl) is played every year giving me the opportunity to gather family and friends who love football at a party, where they can watch the game on your big screen TV while enjoying delicious snacks and drinks. In fact, your guests will not even have to be football fans or sports to spread the spirit of the Super Bowl because it’s just a great excuse to get together and have fun. We give here some suggestions for making a Super Bowl party at home. 1.- Invite friends and family, even your colleagues. The more people, the better, so that everyone can watch TV clearly and count on enough bathrooms. There are many easy ways to invite them. One way is by sending an email blast photo. No matter how the invite, just make sure that the details and address of the party are easy to read. Calculate how many people end up sitting around your TV, and if the subject of the seats can be a problem, ask your friends and neighbors if they can lend you chairs, especially if you are invited to the party. You can also place smaller TVs in places where no one can see clearly the big screen, thus making sure that your guests can always take a look at the game, no matter where they are. • Make a budget for your party. If you think the party finance on your own too, it included in the invitation an order for your guests to confirm their attendance and bring food and drink to share. When you call or write to RSVP, you have the opportunity to ask a snack, drink or specific dessert and you will avoid the possibility of repeating a particular dish. 2.- Clear out the house. Make sure the house is in good condition when your guests arrive. Welcome your guests in a pigsty, with clothes lying on the floor or empty cans is not a great way to start a party. Get the whole family involved to make the task easier. If your house is clean at least the TV room, kitchen and bathrooms disaster. Close the door from the other rooms. Do not wait until the last minute! • If you live in an area where it snows, make sure there is enough space at the entrance to leave boots, jackets, and other cold-weather accessories. • If necessary, clean the ice and snow from the entrance to your home. If your guests slip, they will not be in a good mood. Places and orders the tables you need, arrange the chairs and prepare the grill. Cover the tables with tablecloths (choose those that are easy to clean) and put garbage bags near the tables, in a visible place. When preparing the place to go food and drink, where people think so that you avoid plugging the view that the TV will stop. • Decorate. Place ornaments or the names and colors of the teams. If the team of your city or your favorite team is playing findeth full and decorate the entrance to your house, the mailbox, and even considered dressed in the colors of your team. • If your guests are going to encourage different teams, establishes an imaginary line (or could be fun “you draw a” tape) in the center of the room. Decorate each side with team colors. • If some of your guests are not football fans, it’s a good idea to prepare a quiet place elsewhere in the house where they can meet and talk, rest or watch anything they want. This place may be practical for small children and for those who care. If you wish, you can ask your guests to support you either money or bringing food home. Food can be fried potatoes and dips, typical things like picnic or grill burgers and hot dogs, or you can also order food in advances, such as pizza or large sandwiches. • If possible prepare food themed football. • Make baked desserts with decorations or football snacks. • Beverages include soft drinks and juices for children and those who do not drink and various types of beer for the adults. Usually, stores offer bids for the Super Bowl, like 2×1 or big sales promotions, take it! • Do not forget to consider the special dietary needs or preferences (eg sugarless candy for diabetics and meatless options for vegetarians). 5.- Organizes the distribution of food. This is a party of friends and colleagues and the idea is that everyone is comfortable and serve whatever they want, whenever they want and enjoy the informality of the event. Do not worry about what first chips bag open, open them all and put a little of each bag in each bowl. The number of bowls depends on how many guests come to your party. Put beverages in coolers or plastic containers and fill them with ice. Make sure they have places to put hot food when you go out and put the dishes, utensils, napkins, sauces and dressings in a comfortable place that everyone can serve. • If you can prepare food and have it ready before, even better, so no one will be forced to spend all his time in the kitchen during the party. 6.- Make your guests feel at home when they arrive. Party talks while watching the pre-show. Make bets on who you think which team will win. Add alternative bets, such as the point spread and the number of yards the MVP (Most Valuable Player) run. Give your opinion and talk about how was the season in general. • If desired, serve drinks at first but make sure your guests know where drinks are served and can more whenever they want during the game. A good host should often be checked drinks and replace them when necessary. • Before the match starts, have everyone write down on paper who they think will win and the final score. Rewards the person who is closer to the result with a dumb gift, like a piñata shaped American football. • If you want to make a drinking game, set together phrases or specific plays that will make a drink. If you want more ideas, read about creating drinking games to games. 7.- Halftime advantage as the lunch break. The Super Bowl commercials are famous for being the best and highest paid television (it is said that only 10 million people turn on the TV just for the commercials), so that guests may want to serve food, take your dishes and return to their sites. For those who are not interested in business, takes the average time to discuss the progress of the game and other topics. If children are present, ask them what they think about the match so far, or explain to them something they do not understand. • Designate in advance who will be responsible for leaving the room to heat snacks or prepare the grill, or whatever you choose to serve food. To be fair, you may have been shifted between elected, unless the chef does not mind missing part of the game. • Make sure the dishwasher is empty at the start of the match. You can fill it quickly at the end of half time and thus ease the cleaning of the party. You can also use disposable items (cups, plates) and you’ll have to deal with less chaos. 8.- Contract Maid Cleaning Nashville to help you clean and order after the game. 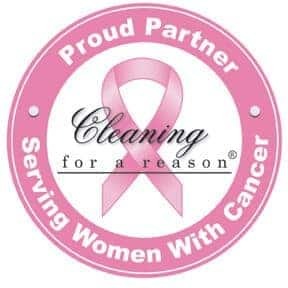 Maid Cleaning Nashville can help you to clean all mess after the big game. When everyone has gone, we will clean the house and relax slightly.